The module_identifier argument can be either the module identifier or the file name of the module, at the time it was compiled. For example, rewrite_module is the identifier and mod_rewrite.c is the file name. If a module consists of several source files, use the name of the file containing the string STANDARD20_MODULE_STUFF. You can read more about the <IfModule> Apache directive in the Apache documentation. 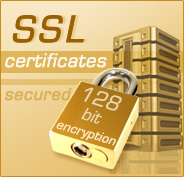 ipsCA is a company that sells SSL certificates. Their SSL certificates are recognized by all the major browsers so you don’t need to worry about manually installing additional Certificate Authority (CA) certificates into your users’ web browsers like you have to do with CA companies whose certificates are not included by default in the major web browsers. What is great about ipsCA is that they offer free 2 year SSL certificates for educational institutions such as Universities. If your domain ends in .edu then you qualify for a free 2 year SSL certificate. In Server Admin, select the server you would like to secure. Click “Settings” > “Certificates” tab > “Add(+)” button. A dialog box will appear to enter your certificate information. Please refer to vs7313 for detailed CSR requirements. Enter starting and ending validity dates. Enter a passphrase (“password”) for your private key. Click “Save”. Now, “Request Signed Certificate From CA” can be selected. A dialog box will appear. Drag the certificate icon onto your desktop. This will create your CSR file. copy and paste the text of the CSR file into the certificate request form on the ipsCA website. Submit the request and wait for ipsCA’s email response. In Server Admin, select the server the certificate needs to go on. Highlight the certificate the signed certificate corresponds to. Click the “Add Signed Certificate…” button. Paste the contents of the signed certificate text file you received from ipsCA into the text box that appears. Press OK to import the signed certificate. Quit and restart the Server Admin app to make sure it refreshes the status of the signed certificate. When you try to edit the certificate all the fields should be greyed out to indicate the certificate is signed and the import was successful. You may need to redesignate the newly signed certificate in the web server and/or restart it before Apache will start using the newly signed certificate. 1. Copy the ipsCA intermediate certificates bundle file into the /etc/certificates/ directory on the web server. At the time of this writing this file was named “IPS-IPSCABUNDLE.crt. The file is available on the ipsCA website. 2. Change the permissions on the certificate bundle to “640”.